We are the creators of completely new and innovative scented fishing trailers (lures). 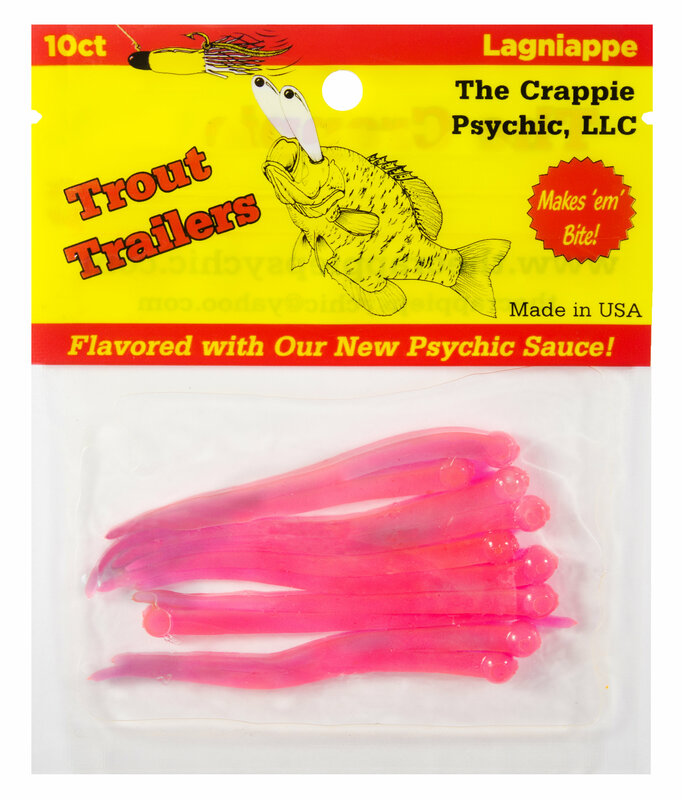 Our first lure is the Crappie Trailers. They are normally used as an add-on to other Crappie lures such as tube jigs, hair jigs, small Crappie spinner baits, etc., but can also be used for Panfish straight on a small #6 long shank hook. 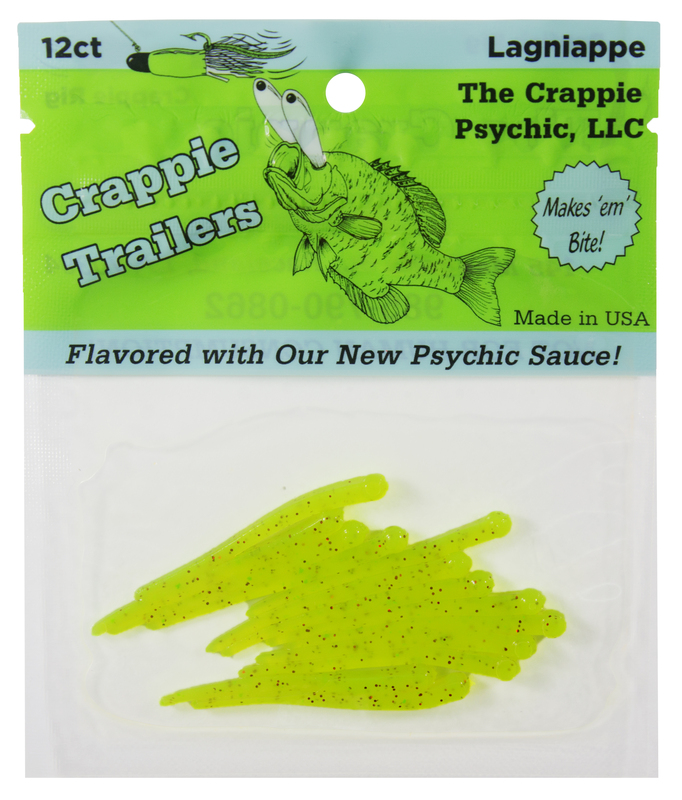 We offer our Crappie Trailers in six colors: Chartreuse, White, Craworm, Flamingo, Cypress Melon, and Grass Shrimp. 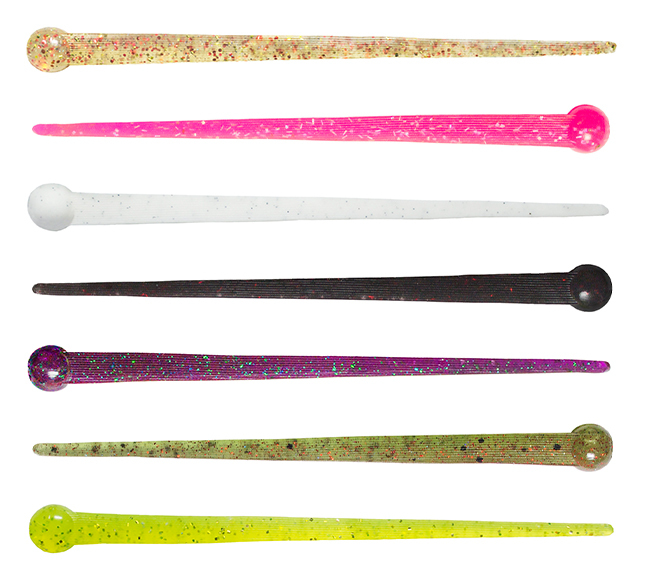 Our newest lures are the Mega Trailers. These 7" long trailers were initially created for the offshore fishermen targeting Tarpon, Tuna, Cobia, Wahoo, etc., but the bass fishermen absolutely love them. We offer our Mega Trailers in seven colors: Lemon Ice, Cotton Candy, Chili Pepper, Speckle Pearl, Black Eel, Plum Krazy, and Melon Red. Our second lure is the Trout Trailers. They are normally used to enhance saltwater lures such as Matrix Shad, various artificial shrimp lures, spoons, live bait, and even dead bait. They even work by themselves on a treble hook for sea/speckled trout. We offer our Trout Trailers in five colors: Chartreuse, White Glow, Flamingo, Silver Minnow, and Purple Kraze. 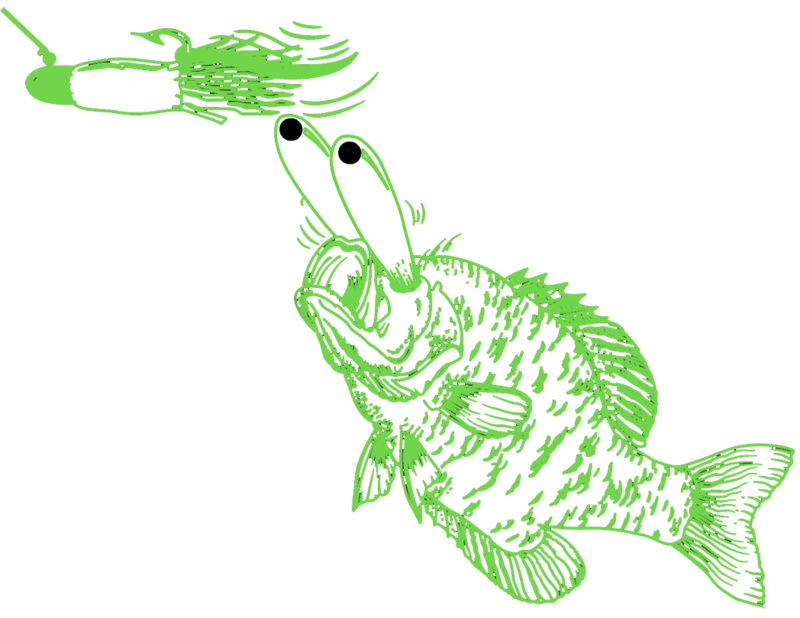 We also introduced a new-to-the-industry rattling cork for Crappie/Panfish called Slab Rattlers. These work really well at getting the attention of the fish by mimicking a cricket or other small insect on the surface by making a rattling/clicking noise every time the cork is moved. 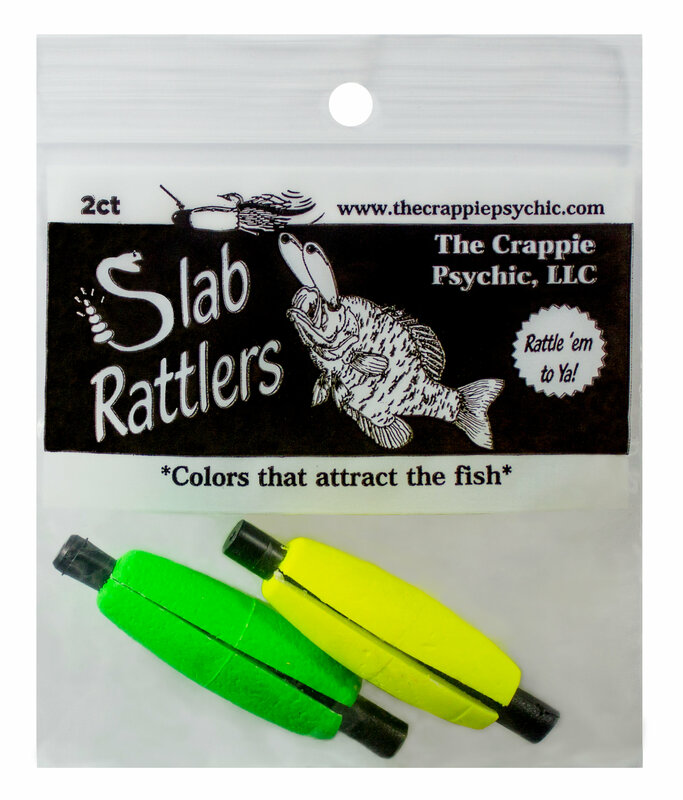 Our Slab Rattlers come in three colors: Chartreuse, Green, and Orange.